Although the main reason for acquiring a handmade carpet is for decorative purpose, it can also be considered as an investment. When considering buying a carpet for investment one should opt for a high-quality handmade carpet.. A carpet with unique design and coloring tends to increase in value and this applies to both exclusive silk on silk carpets as well as rustic nomadic & tribal carpets. A handmade carpet that is properly cared for will undoubtedly increase in value making it one of the most rewarding investments one could make. 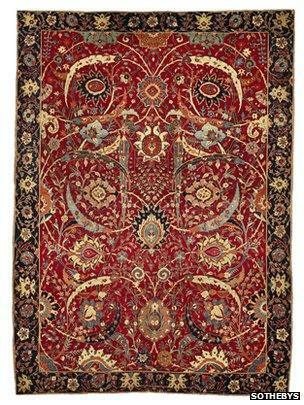 The most expensive carpet was sold at a Sotheby’s auction for a record 33.8 million dollars in 2013. It is believed to be an early 17th century Kerman carpet with a rare “vase” technique set on a red background. This record shuttered the previous sale of yet another Kerman carpet in 2010 that was sold for 9 million dollars. 90% of Persian carpets, both old and new, are being made in homes as a source of extra income. Among the nomads and the village people, it is the women who take care of the household including the children, weaving carpets which are to be sold at some market, while their husbands take care of cattle and the farming. This trend is slowly changing, as the villagers move to the cities to seek jobs and the cities expand towards the villages. Factories are being built on places where the people used to cultivate the soil back in time and agriculture is also being industrialized. Today a great part of the nomadic culture is disappearing when they become more resident. One of the reasons is that they find areas where the conditions are good and can stay for longer periods, therefore they do not have to move around. Slowly, they are changed into some kind of “resident nomads”. Today most nomads move around with jeeps and motorcycles, a sight very different from the one with for example a nomad and his camels. Nomadic carpets are already in short supply and they are becoming much more difficult to find. Back in time our buyers did not have to make an effort to buy hundreds of nomad carpets at the same time. Today it is a challenge to find one single buy! 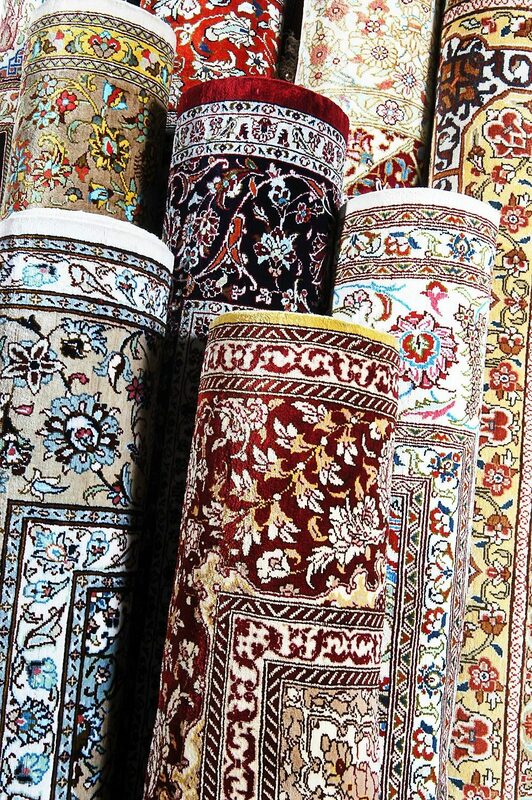 Over the past years the lack of access and the increased inquiries have contributed to heavy price rises (500%) on almost all Persian carpets. These conditions counts more or less even for smaller Persian workshop carpets. Due to the fact that Oriental carpets are made as a hobby in the homes by the women (as an extra source of income) and they do not charge in proportion to the work they put in (compared to the Rölakan manufacturing in Sweden and the rest of the Nordic countries in former times). In all carpet producing countries such as Iran,Turkey,Pakistan India,Nepal and Afghanistan the rapid development & urbanization is more or less the same which indicates that within 10 years the culture of weaving carpets by hand will probably be marginalized and in some areas die out. Nasim Carpets has contributed 1 entries to our website, so far. View entries by Nasim Carpets.